If you need a kit . . . 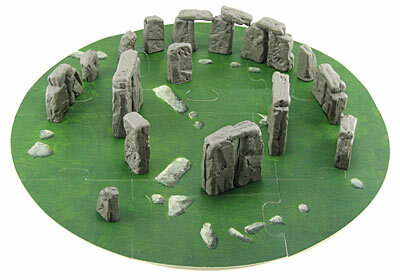 Think Geek, a sales site full of goodies that appeal to the computer (ahem) enthusiast, shall we say?, offers this Build Your Own Stonehenge Kit. Not a bad price, either. Good-looking as it is, however, we can only score it seven druids out of ten, because, hey, it’s manufactured. Still, I simply must have one. Hear that, Santa?